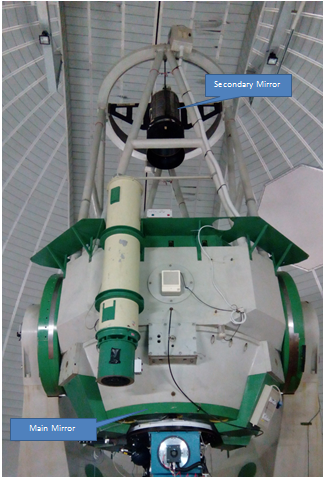 In this post we describe our visit to the telescope of Ekar peak in Asiago : 182cm main mirror, the largest on the Italian territory. 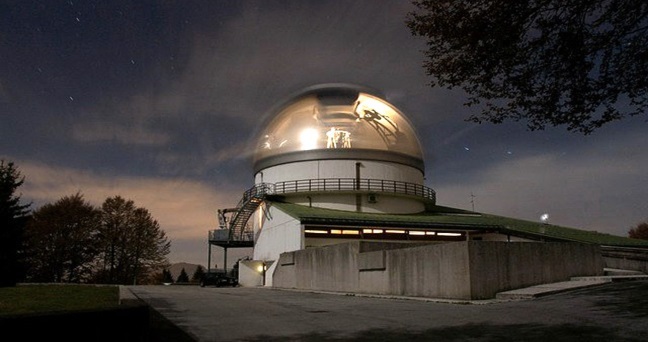 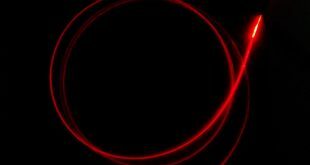 The telescope is located at Ekar peak (about 1400 mslm) near the town of Asiago but away from artificial light sources. 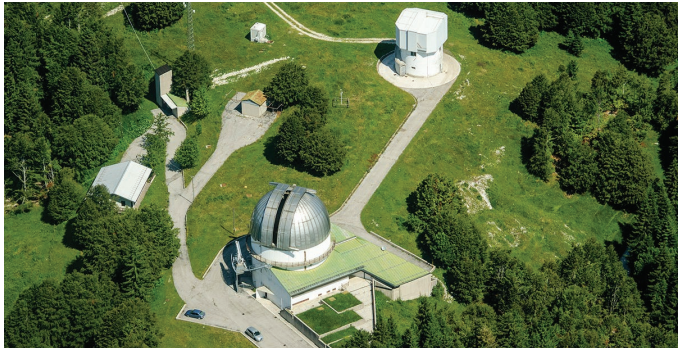 In the picture below you can see the dome of the main telescope and the building that houses an ancillary telescope. 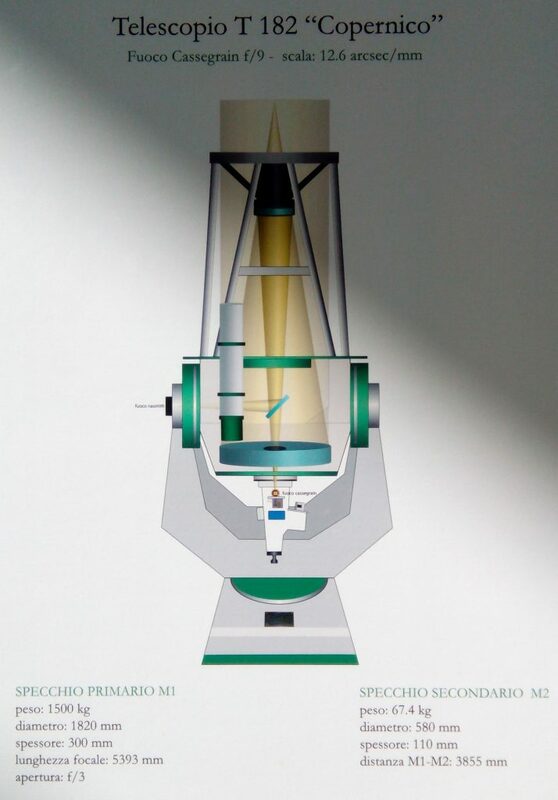 The telescope was completed in 1972 and was dedicated to the great Polish astronomer Nicolaus Copernicus. 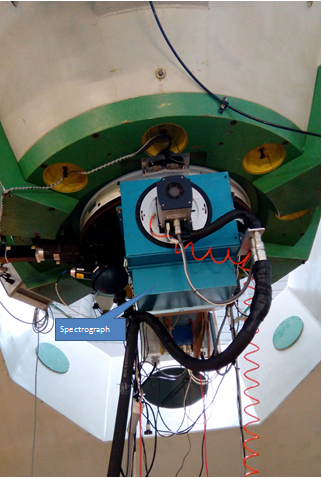 In the images below you can see a detail of the telescope and spectrograph mounted at the main focal point. 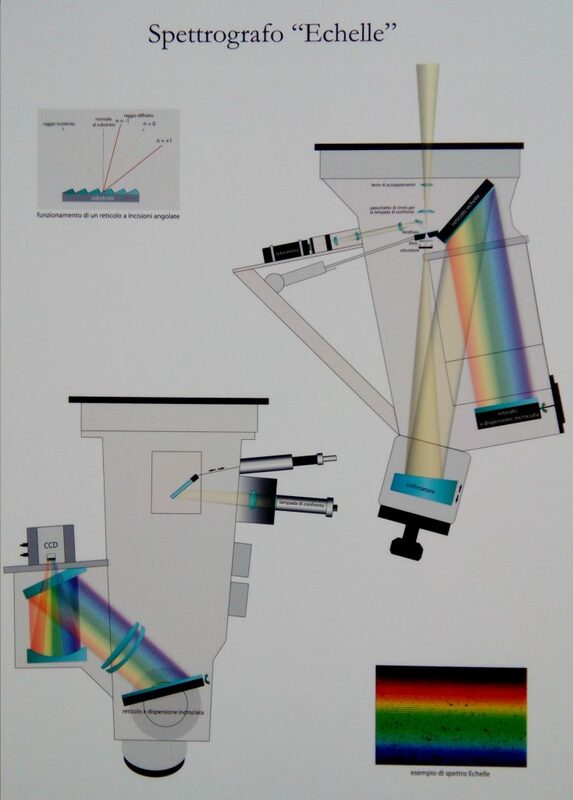 It is a Cassegrain reflector telescope as shown in the diagram below. 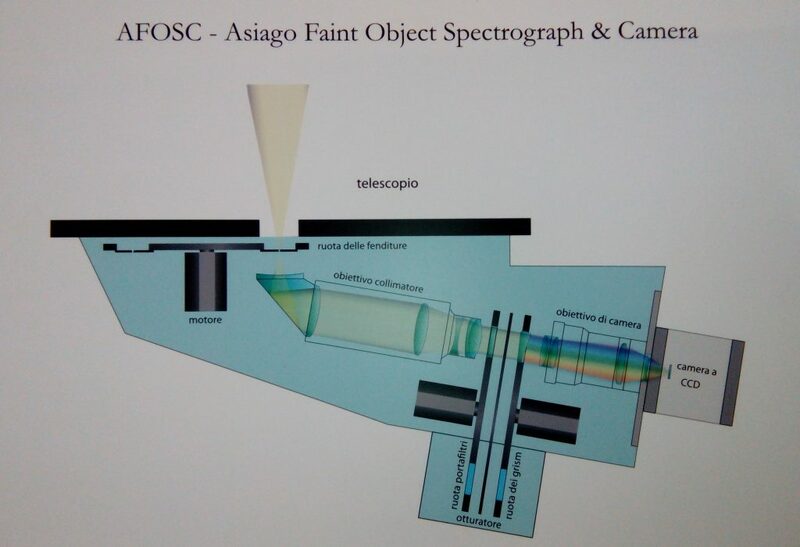 The telescope is used for the direct observation but mainly for spectroscopic investigations.